A gash on the neck, a swollen and discolored ankle, a puffy, purplish eye socket: No one could argue these aren’t real injuries requiring medical treatment. It’s not so clear with depression. Depression doesn’t broadcast its presence in the way other maladies do. And even when a health care provider is looking for it, it’s often hard to recognize. A new study of depression and treatment data for more than 46,000 U.S. adults found that many who were found to be depressed didn’t receive treatment, while most who received treatment for depression didn’t screen positive for the mood disorder. The first finding points to the great numbers of people who suffer from depression but aren’t getting treatment that could help them live normal lives. The second finding, the authors said, “raises the possibility of overtreatment” for others. The researchers set out to update earlier research about the scope of untreated depression in light of the fact that antidepressants have recently become the most commonly prescribed class of medications in the United States. The study made clear that the problem of untreated depression persists, even as antidepressants are being more widely used. Up to 1 in 4 primary care patients suffer from depression, but primary care physicians identify less than one-third of them. Major depressive disorder affects about 14.8 million U.S. adults, or about 6.7 percent of the U.S. population ages 18 and older. Major depressive disorder is the leading cause of disability in the U.S. for people ages 15 to 44. Most adults with and without mental health symptoms say treatment can help people with mental illness lead normal lives, but only 25 percent of those with symptoms believe people are caring and sympathetic to mentally ill people. In the latest study, authors noted “substantial gaps persist in the treatment of depression.” More than two-thirds of the adults who screened positive for depression did not receive treatment during the year the survey was taken, they found. Certain populations, including racial and ethnic minorities, are particularly unlikely to be treated for depression, researchers said. The study, “Treatment of Adult Depression in the United States,” was published in the journal JAMA Internal Medicine. The American Psychological Association has compiled a page called “Data on behavioral health in the United States” based on data from the U.S. Centers for Disease Control and Prevention, the Substance Abuse and Mental Health Services Administration, the National Institute of Mental Health and the Agency for Healthcare Research and Quality. You can read about depression symptoms, treatments and take an online survey that asks “Are you depressed?” in the Providence Health Library. If you feel lost or hopeless and would like to talk to someone on a confidential basis, you can call a helpline such as the one operated by Lines for Life, at 800-273-8255. To get a diagnosis or receive treatment, talk to your health care provider. 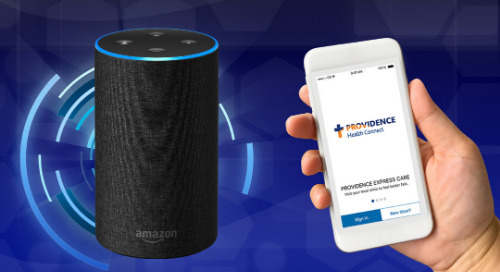 A Providence provider can help connect you to the resources you need. You can find a Providence provider here. Researchers find 29-times higher amount of harmful pollution emitted in stop-and-go traffic.